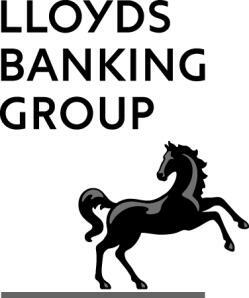 Lloyds Banking Group to hold weekend of activities for St David’s Day. Lloyds Bank branches across Wales will tomorrow begin a weekend of celebrations to commemorate St David’s Day. From Friday 27th February to Monday 2nd March, colleagues in 104 branches across Wales will be putting on a full programme of activities to welcome in St David’s day, whilst raising money for BBC Children in Need. Over the weekend, branches will be fitted with the traditional St David’s day decorations of daffodils and flags, whilst colleagues will also add red to their usual green uniforms to represent the full Welsh colours. Additionally, colleagues will be welcoming local choirs into a number of the branches to top off an authentic St David’s day atmosphere. There will be a number of ways for customers to donate to BBC Children in Need, from taking part in competitions related to St David’s day and buying homemade Welsh cakes baked by colleagues, to simply dropping spare change in buckets which will be placed in all the branches. To keep an eye over fundraising efforts, Pudsey bear will be joining the fun in three of the branches. All the money raised from these events will go towards BBC Children in Need, Lloyds banking Group’s Charity of the Year. They provide grants to projects which focus on children and young people who are disadvantaged – be that through disability, bereavement, life limiting illness, poverty, abuse and neglect throughout the year. In 2013, BBC Children in Need provided 163 grants to projects in Wales alone¹.